An air tanker drops slurry Monday on the Turtle Lake Fire, as seen from Hidden Valley. Local firefighters and the Pike Hotshots were mopping up the 2-acre Turtle Lake Fire Tuesday afternoon, said Ann Bond, a spokeswoman for the U.S. Forest Service. The fire was contained at noon, with mop-up continuing through today. No structures were threatened, and no air support was required. Steep slopes and strong winds were a concern after the fire was reported about noon Monday. Wind wasn’t a factor Tuesday. Authorities believe the fire was caused by people because no lightning was seen in the area, and an unattended fire ring was found near the fire. 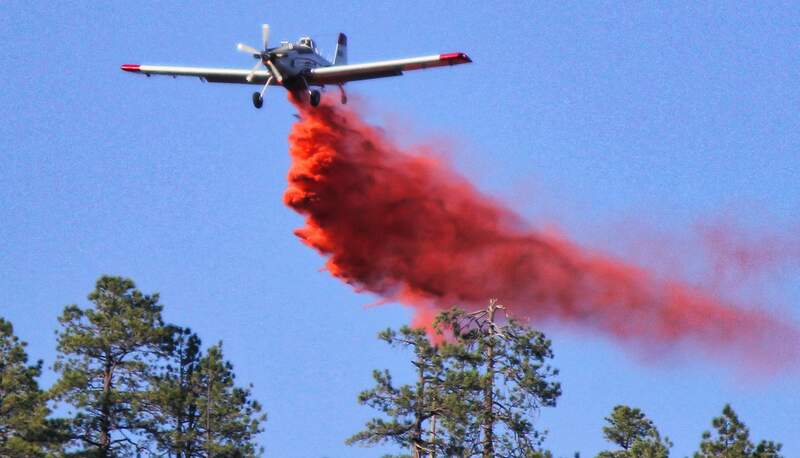 The U.S. Forest Service took over management of the fire, which burned on National Forest land west of Falls Creek Road, from early responders. Crews from Durango and Upper Pine River fire protection districts were first on the scene. The Pike Hotshots are based in Monument, near Colorado Springs.